Protagonist Pictures has sold North American rights to FilmRise for Clio Barnard’s (The Selfish Giant, The Arbor) drama Dark River. It was announced today by Protagonist Managing Director of Sales and Distribution Vanessa Saal and FilmRise CEO Danny Fisher. The film debuted as a world premiere at the Toronto International Film Festival and screened as an official selection in the London Film Festival to outstanding reviews. The North American deal was negotiated between George Hamilton, Protagonist’s Manager of International Sales, and FilmRise’s Faye Tsakas, Director of Acquisitions. Protagonist Pictures is handling worldwide rights to the film. FilmRise will release Dark River theatrically in 2018. The film will also be available to stream on Amazon Prime Video late in 2018 as FilmRise opted-in the film to Amazon Video Direct’s prestigious Film Festival Stars program. Written and directed by Clio Barnard (The Arbor, The Selfish Giant), this moving tale of family secrets stars Ruth Wilson (“The Affair”, Saving Mr. Banks), Mark Stanley (Star Wars: The Force Awakens, “Game of Thrones”) and Sean Bean (Lord of the Rings, GoldenEye). 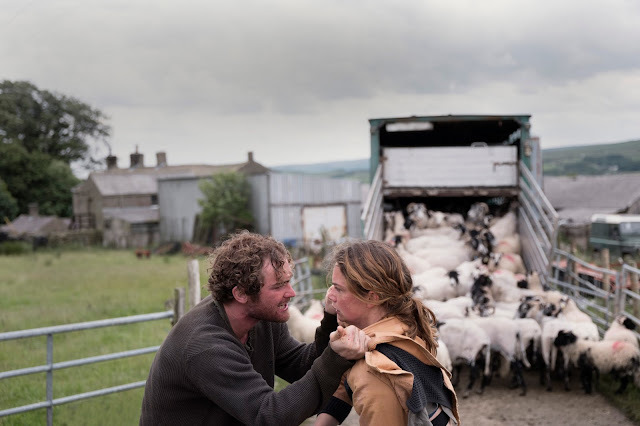 Dark River is produced by Clio Barnard’s long-term producer Tracy O’Riordan (The Arbor, The Selfish Giant) of Moonspun Films with Left Bank Pictures’ Lila Rawlings, Andy Harries and Suzanne Mackie executive producing. Further executive producers are Lizzie Francke, Rose Garnett, Polly Stokes, Hugo Heppell and Meroë Candy. Dark River is inspired by the novel ‘Trespass’ by Rose Tremain. Following the death of her father, Alice (Ruth Wilson) returns to her hometown for the first time in 15 years, to claim the tenancy of the family farm she believes is rightfully hers. Once there she encounters her older brother Joe (Mark Stanley) a man she barely recognizes, worn down by years of struggling to keep the farm going whilst caring for their sick father. Joe is thrown by Alice’s sudden arrival, angered by her claim and finds her presence increasingly impossible to deal with. Battling to regain control in a fraught and fragile situation, Alice must confront traumatic memories and family betrayals to find a way to restore the farm and salvage the bond with her brother before both are irrevocably lost. Barnard has established herself as one of the UK’s most distinctive cinematic voices following rave reviews and awards for her feature-length debut The Arbor, a documentary about the late Bradford poet Andrea Dunbar, as well as her sophomore feature The Selfish Giant. The latter film followed two 13-year-old working-class friends in Bradford seeking fortune by getting involved with a local scrap dealer and criminal. The film was a critical darling on its release, winning the best British film of the year at the London Critics Circle Film Awards and a number of other festival awards. IFC Films/Sundance Selects released it in the United States. Dark River is backed by the Film4, BFI (with National Lottery funding) and Screen Yorkshire presentation in association with the Wellcome Trust, of a Moonspun Films/Left Bank Pictures production, and was developed by Film4, the BFI and the Wellcome Trust.